Back in the old days in the Jerusalem dojo, we had a structure set up like an apartment. We used it to train security guards, to prepare them for what they will encounter when when they go into an apartment, to arrest someone, to discuss domestic disturbance etc. As they would walk through the rooms they would be attacked. The results can be see on the "Jerusalem Krav Maga DVD". This sort of training was also covered in the Krav Maga episode of the Human Weapon. Those visitors, and all visitors, had to wake up, a rude awakening indeed. 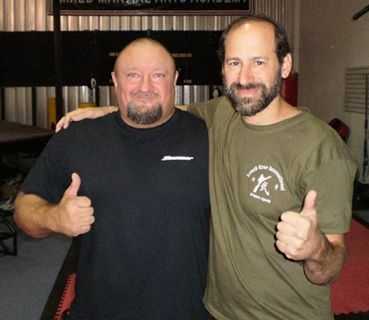 IKI Instructor, Black Belt, Gary Hodges Jr, with Moshe Katz. Gary trains for reality situations and has already used IKI Krav Maga to disarm live gun threats. He has helped many students survive real life encounters. Are all Krav Maga systems the same? Are all Krav Maga systems the same? No, they are not, some, so sadly, resemble fancy martial arts forms and, for the life of me, I cannot figure out how they became so popular and why people continue to believe in them. I do not. Kuda Chinhara, participating in the IKI Counter- Terrorism course. 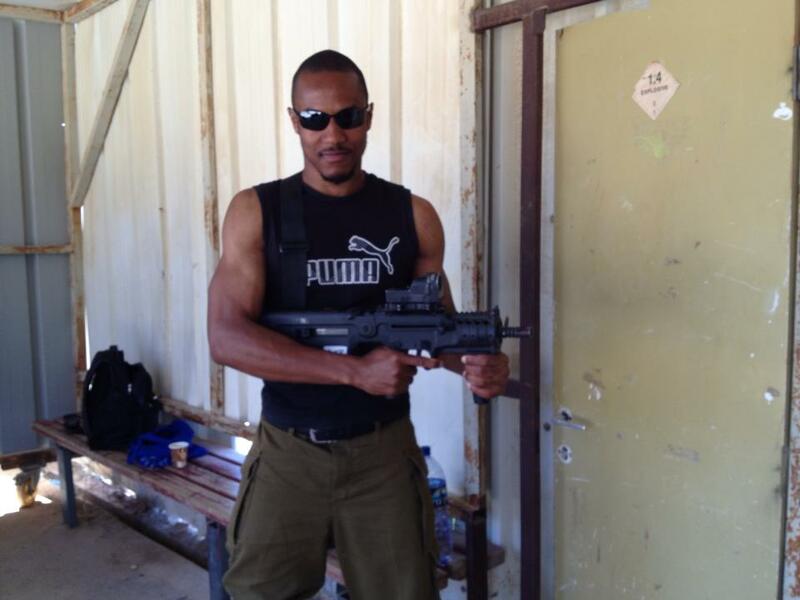 Come to Israel, the home of Krav Maga. Meet the people, drink the coffee, hear the stories. Immerse yourself in Krav Maga. Register for Tour and Train Experience. Now. 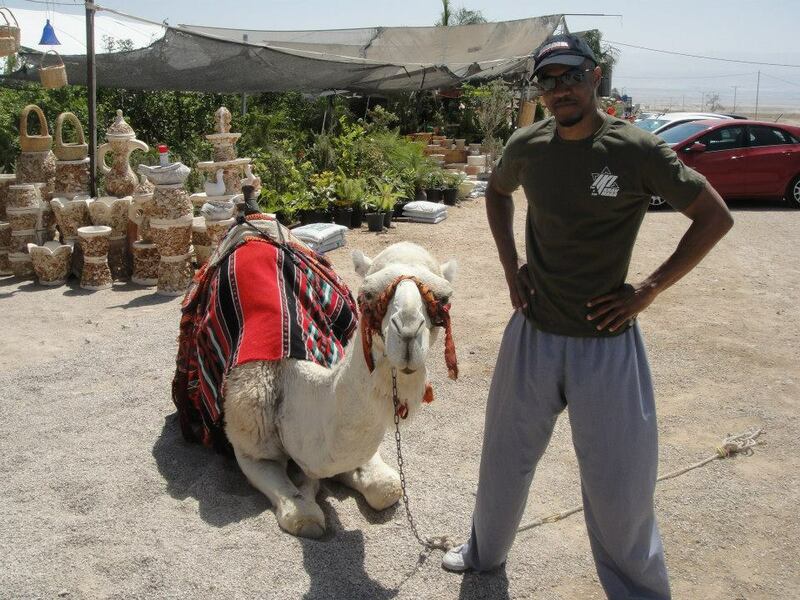 IKI Instructor Kuda, on Tour and Train, with a local camel in the Judean desert. 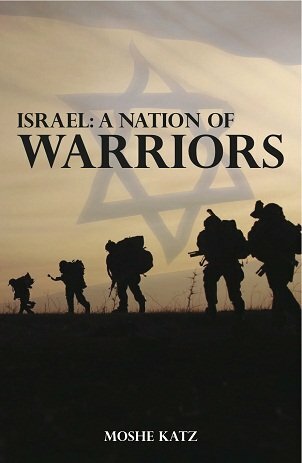 Prepare for Tour and Train by reading.."Israel: A Nation of Warriors" e book by Moshe Katz, found of IKI. Over 250 pages about the history of Israel as a fighting nation from the days of the Bible until today.